Part of a fantastic series that gets young readers reaching higher. Want to be on top? Climb the Reading Ladder! Danny’s parents are inventors. But when they build him a racing car for his seventh birthday, he doesn’t realise how much it will change his life. Monty isn’t your average car. He runs on chocolate milkshake, not petrol. And he can actually talk by revving his engine! But when Danny and Monty enter the Tooting Wallop Cup race, they find themselves up against Hugo de Horrible, the nastiest man in town. 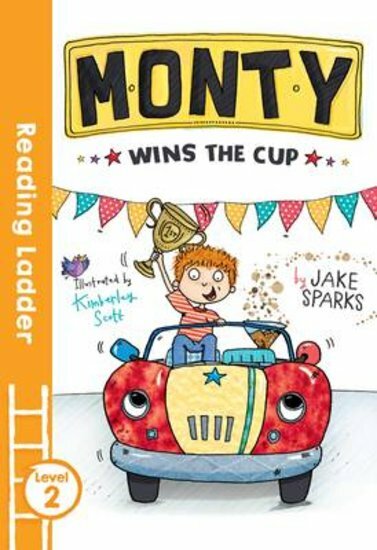 Can Monty win – or will Hugo’s cheating ways bag him the prize?